A flowchart, often spelled flow chart, can be used to map out complex processes. Their greatest strength lies in the fact that they make processes more transparent than wordy descriptions. 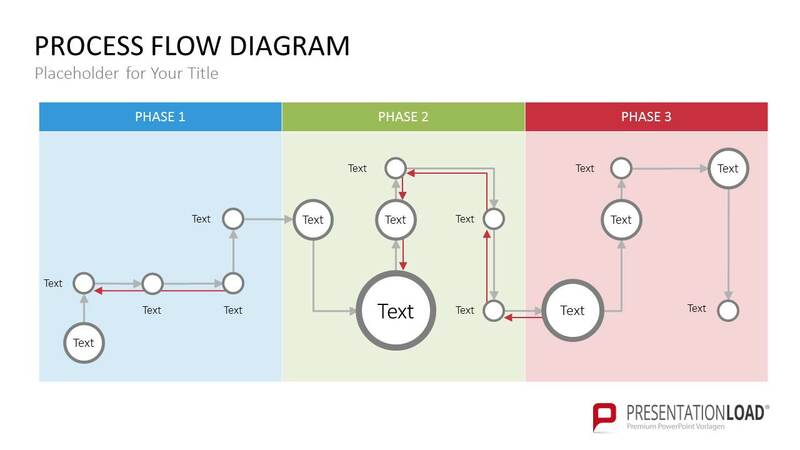 Composed of shapes, text and arrows, a flowchart can illustrate anything from a step-by-step process to the development of an idea. 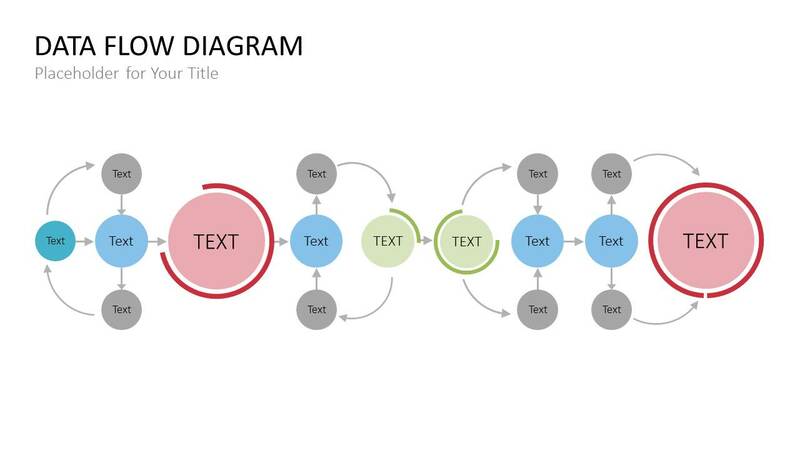 Our tip: Use flowcharts in your PowerPoint presentations. 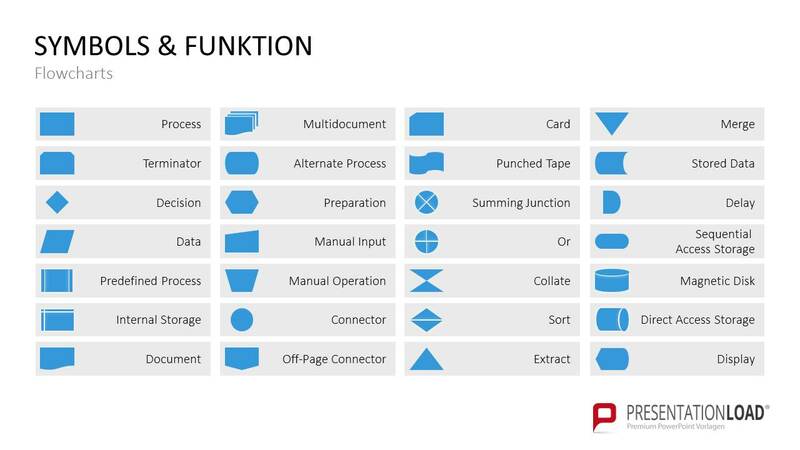 In flowcharts, symbolic shapes are used to represent steps in a process. The flow of the process is usually represented by arrows. 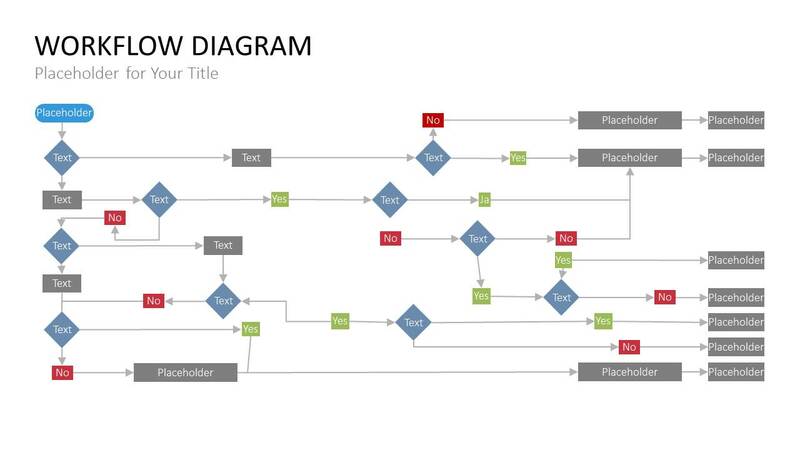 A flowchart can also contain additional branches, yes/no decisions, loops and more. Flowcharts graphically represent the sequence of steps in a process. They visualize the movement of information, tasks, money, people or objects within a process or organization. You can use swim lane flowcharts to categorize different organizational units and sub processes. For example, a swim lane can be used to visualize the employee or department responsible for a specific process. Several swim lanes create a pool diagram. Swim lanes can be vertical or horizontal. A workflow diagram focuses on displaying tasks and decisions. Each decision results in a sequence that determines the subsequent path along the flow lines in the diagram. Process flow diagrams are used to plan and design an entire process. For example, the movement of a product through a company – from development and production to delivery – can be planned and tracked. Process flow diagrams are an important tool for quality assurance. A data flow diagram represents the flow of data within a process or system. Its focus is on the flow of information, where data comes from, where it goes and how it gets stored. Many areas of IT used standardized, specific forms of flowcharts. They include the BPMN diagram, the IDEF0 diagram, the EPC diagram, the SDL diagram and the Nassi-Shneiderman diagram. 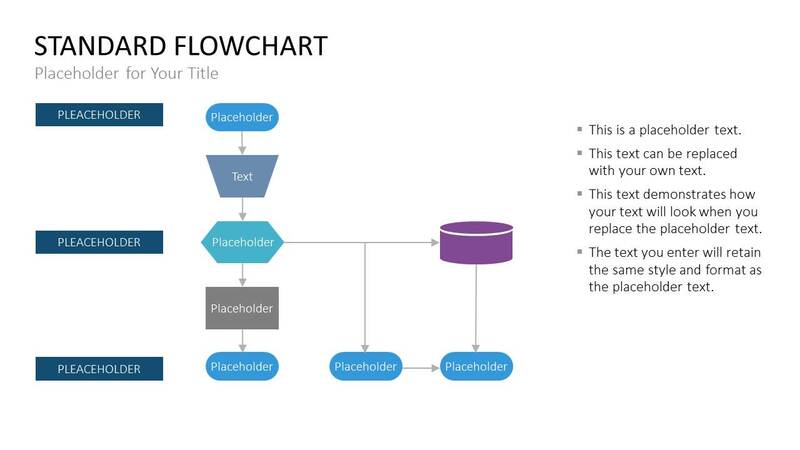 Microsoft has a free online tutorial on its website, which provides beginners with an easy-to-understand explanation of how to set up flowcharts in PowerPoint. This is definitely worth checking out. It’s not only for users who want to create flowcharts, but also for anyone who wants to become more familiar with drawing tools. 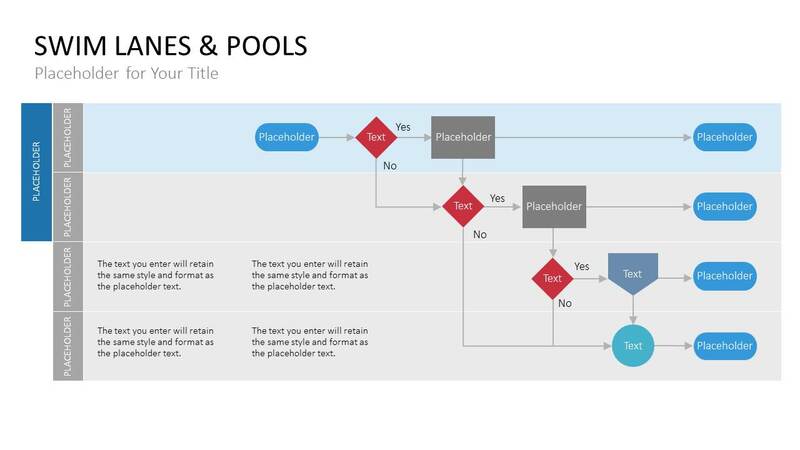 If you find you’re too pressed for time to create your own flowcharts, our Flow Chart Toolbox for PowerPoint offers a wide range of ready-to-use professionally designed chart templates.